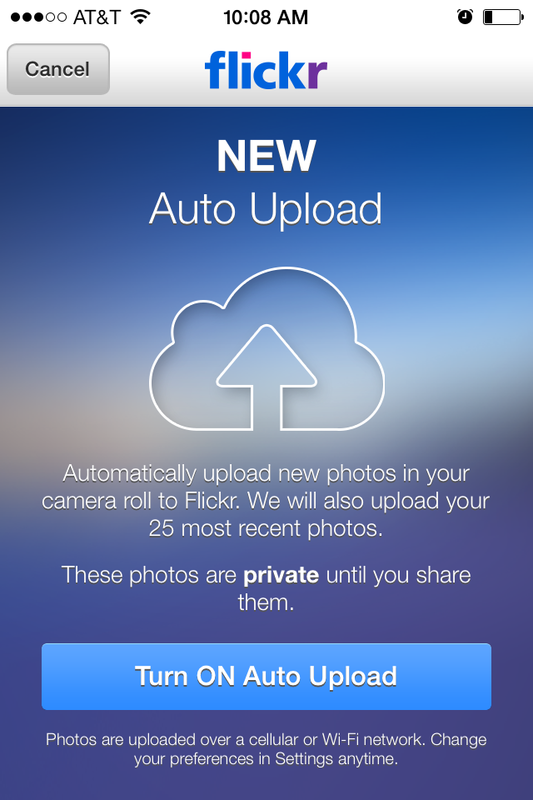 Flickr added a new automatic upload feature to its to its iOS app on Wednesday, the service's latest effort to woo—and woo back—users in the ultra-competitive online photo-sharing arena. After the app has been updated, Flickr prompts users to activate the new feature. It’s the latest effort by the Yahoo-owned Flickr to recover its ground in the photo-sharing and photo-storage market. 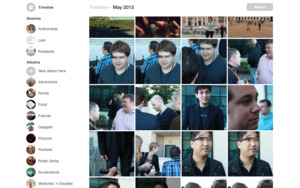 In May, the company overhauled its service, giving every user 1TB of free photo storage. But Flickr isn’t the first service to offer automatic uploads of photos: its stiffest competition may be from iOS’s built-in Photo Stream, but Dropbox has also long offered the feature, as have services Everpix and Loom. Which means that Flickr, once the grandaddy of photo-storage sites, is playing catch-up in this space. Wednesday’s update adds another new feature to the Flickr app; auto straightening. The company describes it as “a tool that works like magic when your photo is just a little bit off.” Flick also says that users should find previous problems with Google sign-on have been eliminated in the latest version of the app. 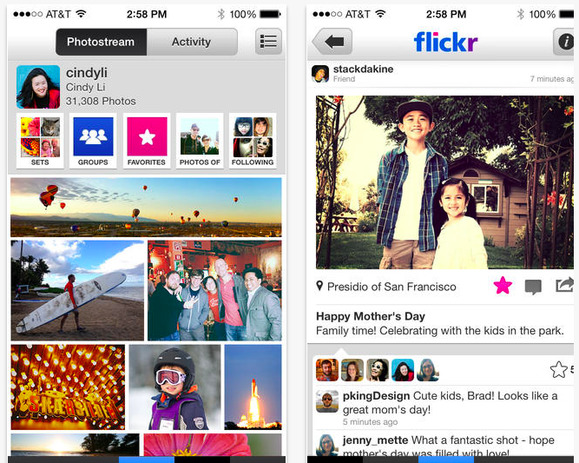 Flickr is free, and is compatible with iPhones using iOS 6 or later.